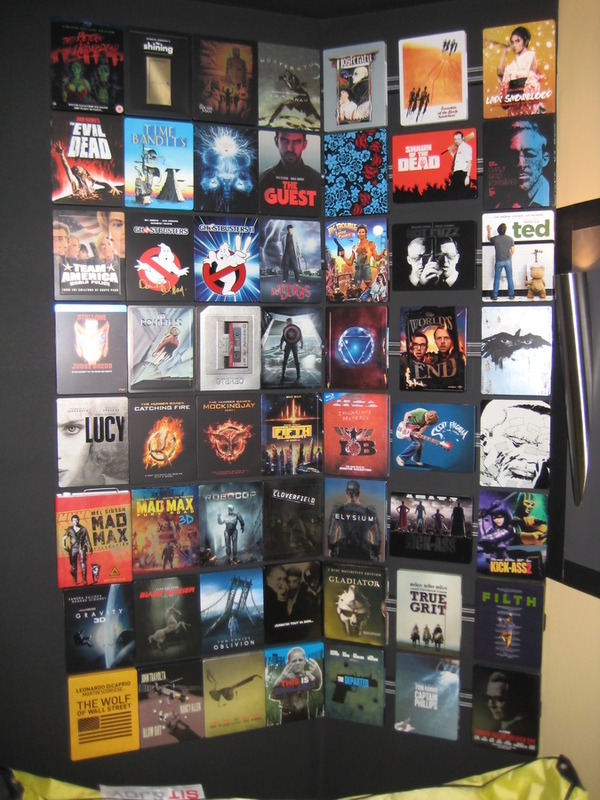 My collection of steelbooks are on the rise. 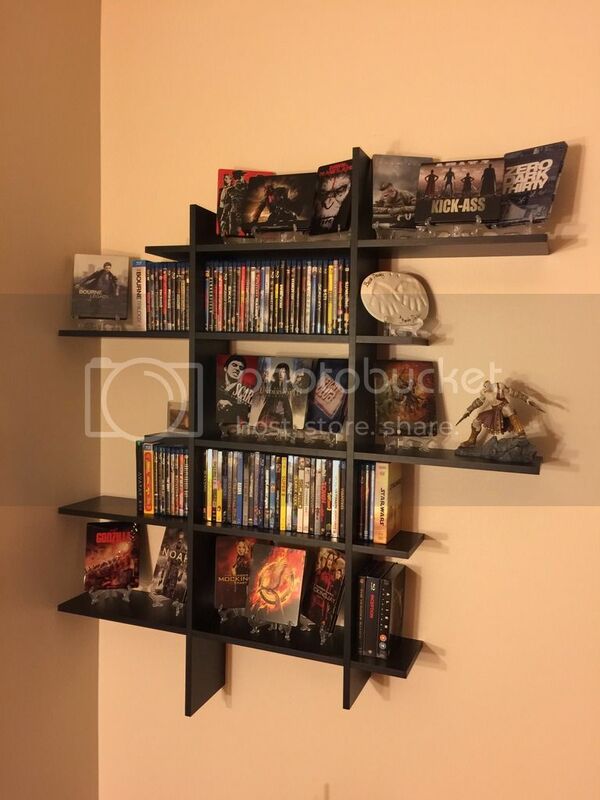 I have about 20 movie steelbooks including the recent Star Wars which I really want on display. I'm just not sure on the best way to display them. I'm in a rental, so I can't drill holes into the wall to mount them on a shelf. 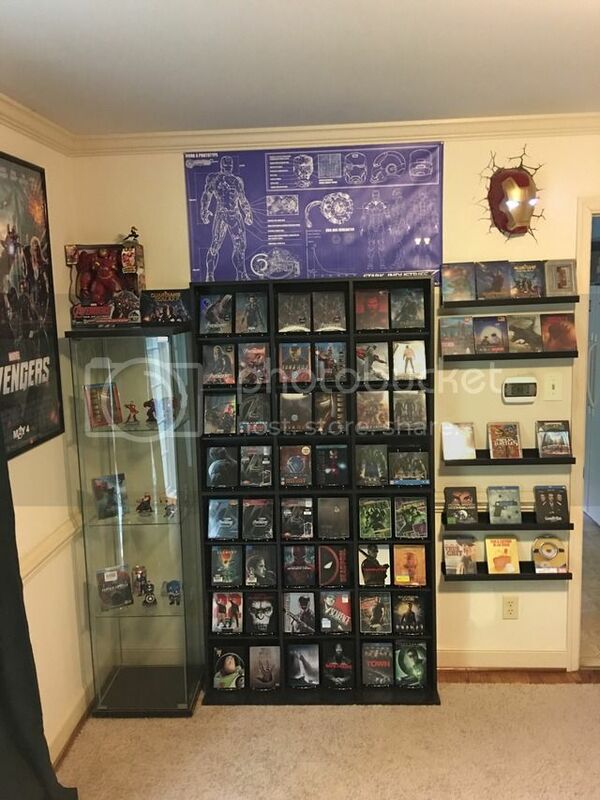 I don't particularly want to buy a cabinet just to display 20 steelbooks. Any other ideas? I open them so they stand up. I've been using plate stands for my game steelbooks. Do you mean you open them up and have them freestanding so the front and back cover is facing the person? Ive done couple different things. I purchased the small picture easel from walmart they are 98 cents. 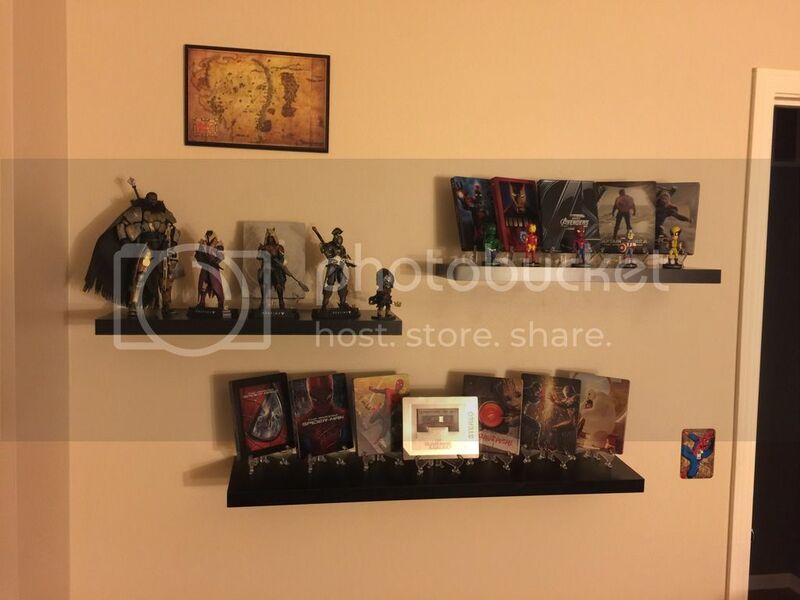 Then I purchased the picture ledges from ikea, I think they are 7 dollars can't remember. Nice setup, what about the cases themselves? 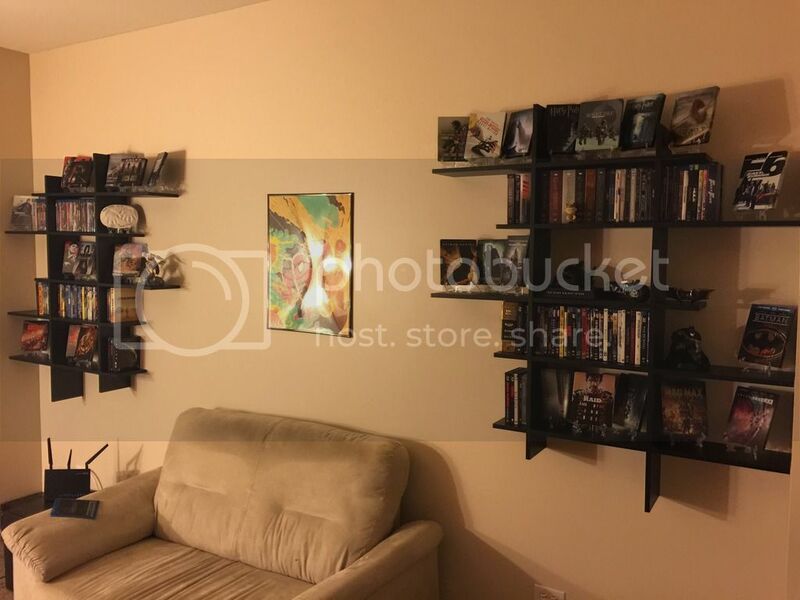 are those just bookcases? if so where did you get them from? 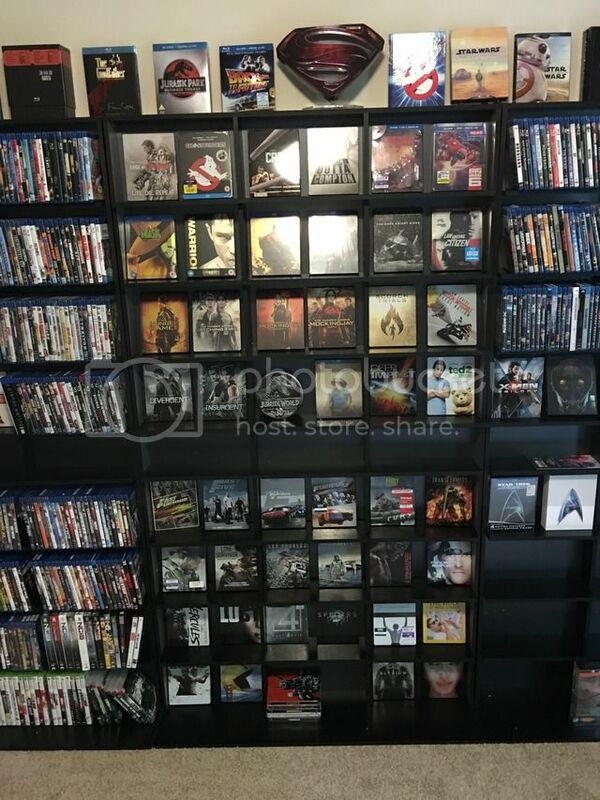 I've been really tempted lately to sell or trade all of my Steelbooks for just regular copies. I don't display them and while they are pretty neat, no one else seems to appreciate them much. 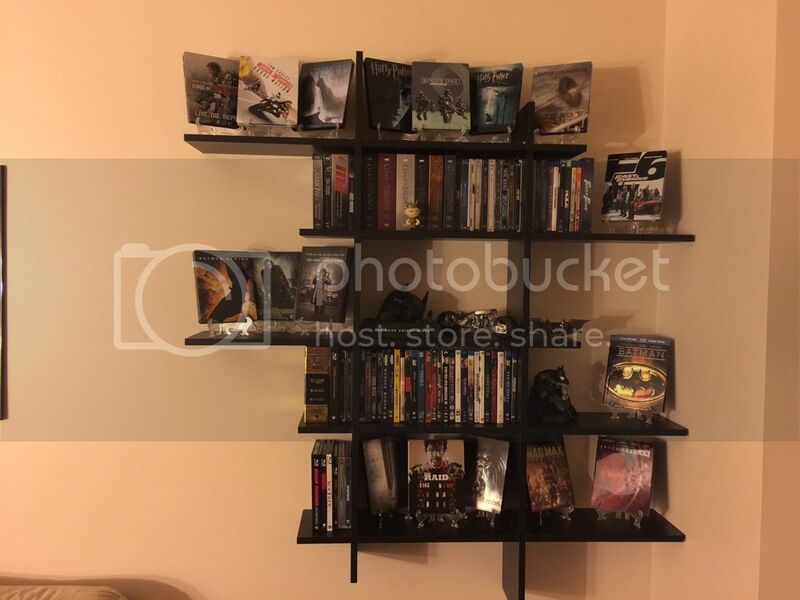 I just updated my display and with great help from wife I was able to display most of steel books now. However at one point there is so much I can display. Anyways I bought the shelves from target. No one seems to appreciate or care about physical media in general all that much anymore, either, and it's sad. 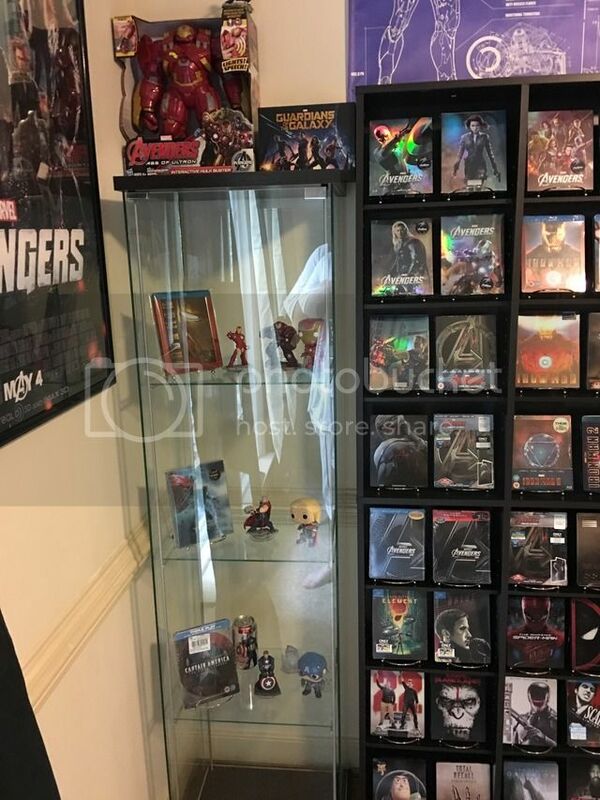 Have around 30 steels, but on display just a few dvds. Love the old Psycho steel with the original cover image, not the bd flushing cover. Also a steelbook cd of The Demons soundtrack etc. As far as bd's go, recently bought 20 SC2 covers from Steelbook central and keep my steels with the spines on display. 3 great display on this page! Why worry about what anyone else thinks?